This entry was posted on May 15, 2017 by Goplasticpallets. 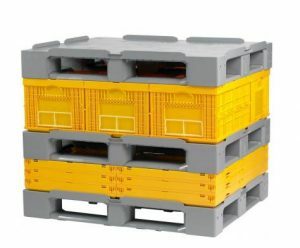 Goplasticpallets.com share their expert advice on why choosing the right pallets for the application first, will save customers time and money. When purchasing any goods, it goes without saying that cost is a fundamental factor. We all want a fair price. However, time and again we see situations where customers have purchased pallets that are not wholly suitable for their application. Why? Because their purchasing decision has been solely driven by cost, ignoring the needs of their application. Yet, without considering the needs of the application, companies risk purchasing a pallet that is not up to the job. Ultimately, costing the company far more money in the long and the short term. What application are you purchasing for? Answering this question will tell you all you need to know the type of pallet you really need for the job. Choosing the right pallet for your application first, will tell you what size, strength and the load you’ll be able to place on the pallet. It will also help you establish the durability and any key specifications that you need e.g. whether it needs to be hygienic, full perimeter or non-perimeter. All of which will dictate the cost. You'll also avoid wasting money on a pallet that doesn't fit the job specifications, cannot withstand the load and handling, and the cost of repairs or replacement pallets. 2. What type of supply chain are you using? Are you using the pallet in a closed loop supply chain, or shipping it one way, perhaps for export? Establishing this will help decide what “duty” or strength of pallet you need. It'll also determine the level of investment. Many one-way consignments need a much more lightweight pallet, whereas a closed loop supply chain might need a heavy-duty pool pallet for high-level, repeat use. How much weight are you going to put on the pallet? Will the weight be evenly distributed across the pallet, or will it concentrate the load in certain areas? The weight of your load and how it’s spread across the pallet is another important factor. It’ll determine how strong and durable the pallet needs to be. 4. How will the load sit on top of the pallet? Thinking of the product consignment and its packaging, will the load overhang the pallet? Will the lips interfere with the consignment? Many pallets come with lips as standard, but most models have a “no lip" option. For example, if you’re handling sheet materials, the lips might interfere and possibly imprint into the product so a "no lip" option would be most suitable. On the other hand, some automotive manufacturers use pallets with 22mm lips to secure stacked KLT totes, so here lips are a must. Furthermore, think about how the goods will interact with the top deck? Could the application benefit from a smooth closed deck, or an open, honeycomb structure for increased air flow. 5. What material handling equipment do you currently have on site now? …. or is any planned for the future? Equally, is their automation in place or plans for this to happen further down the line? The type of material handling equipment used will dictate whether you need a non-perimeter or a full-perimeter pallet. The perimeter will affect what type of machinery can handle the pallet, how it can lift the goods, and whether or not it can be stored in racking. 6. Where will the pallets be stored? Will they be stored on racking? 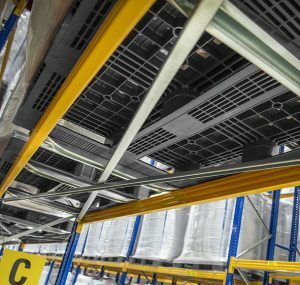 Do you plan to store the pallets in racking, and if so, what kind: beam racking, drive in, or high bay racking? Will the pallets be stored outside, and are they likely to get wet? Could the temperature get very cold or hot? Firstly, if in racking, think about the distances between the beams or supports. How could this affect the pallet's loading capacity? Will you double stack the pallets in storage? 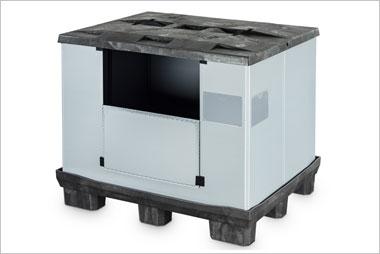 This will affect the base design you might choose, and also require the “static load capacity” of the pallet to be considered. Where will the pallet be stored when empty? If the pallet is going to be stored outside, it could get wet and be affected by extreme temperatures. These factors will affect the design of the pallet's deck: open, partially open or closed, and perhaps even the type of plastic that the pallets should be made out of. How many pallets do you need? Is this a one-time purchase, or will you need several deliveries split over a period of time? Do you need additional printing, RFID tags etc. added to the pallet, and how quickly will you need them delivered? All of these factors control how quickly your pallets can be delivered. More specialist style pallets, that are in lower demand, will often come with a longer lead time if they are not manufactured as regularly. 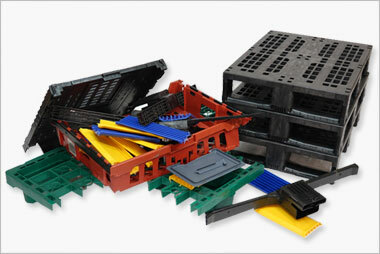 Of course, suppliers like Goplasticpallets.com who hold stock in-house will be able to offer more flexibility. For example, if the pallet is going to be used for exporting goods, a lightweight nestable pallet is an inexpensive alternative to wooden ones. Unlike wooden pallets, plastic pallets do not need ISPM15 treatment to meet export regulations. Furthermore, the cost comparison today between a wooden and plastic nestable pallet for export is marginal, and of course, the plastic can be recycled at the end of its life. Increased strength, consistency and no need for heat treatment means plastic wins’ hands down. 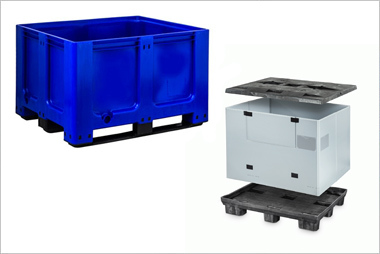 Before purchasing any returnable plastic transit packaging, customers should fully understand the application, consider its limitations, choose wisely and ask the experts. 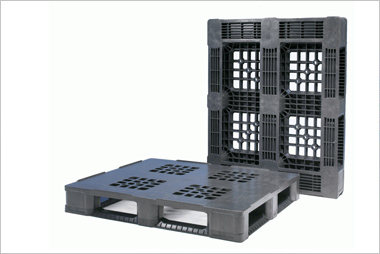 With so many different varieties of plastic pallets available, logistics professionals can ensure they choose the right solution by thinking application first, cost second. 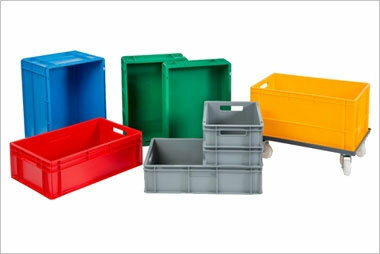 For further advice on selecting plastic pallets, pallet containers and small boxes for your application, call Goplasticpallets.com on 01323 744057.